Eyeliner is a very popular part of many women’s makeup routine. It can be used for daytime occasions as well as dressy nighttime ones and there are many different ways that it can be applied. The purpose of eyeliner is to emphasize the eyes and make them stand out. There are many different brands and types of eye liners to choose from. Deciding on the best one can be an exercise in confusion unless you know what to look for. Learn about the top rated eyeliners that customers love and that have the qualities that are popular with consumers. Maybe one of these choices is exactly what you’ve been looking for. Eyeliners are available in many different types and colors. The top rated eyeliners reviewed below are all good quality eyeliners from reputable companies that are known for quality makeup. Each one of them has benefits that make them top rated choices. 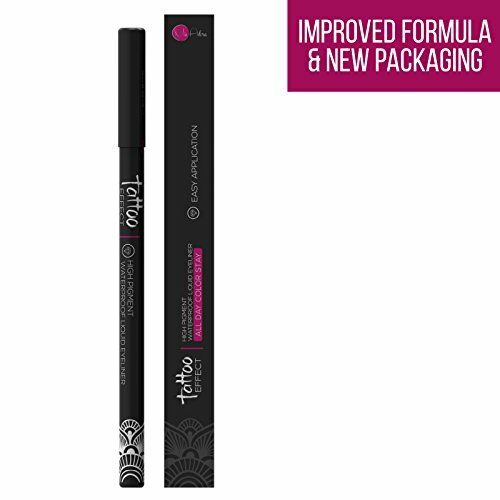 This waterproof eyeliner goes on easily and doesn’t smudge or run making it a great choice for active people on the go. It will stay on until you remove it so you don’t have to worry about getting “raccoon eyes”. 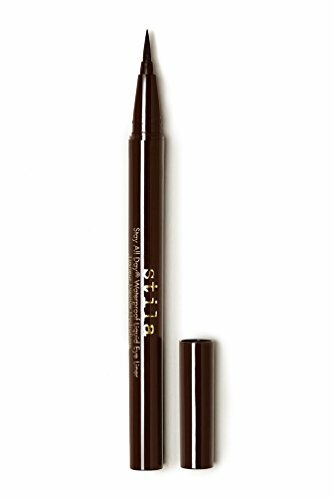 The tip of this eyeliner is very thin, and it handles like a marker so application is super easy. Even if you are not very experienced with eyeliner, you will be able to use stila Stay All Day Waterproof Eye Liner to make a defined thin line or even create a bold, dramatic look as well. This easy to apply, long lasting eyeliner by Lauren Taylor fits the bill nicely. It is made in the USA and will stay on all day long. The even, continuous flow makes it easy to apply even for those who are not experienced with eyeliner. The firm, felt tip is soft and can make fine lines or bolder, more exotic lines. Even if moisture is present, this eyeliner will not fade, smudge or flake so you will never have to worry about looking terrible because your eyeliner has run down your face. Once you apply the eyeliner, it dries quickly so you won’t smear it putting on the rest of your makeup. Lauren Taylor eyeliner comes with a 100% money back guarantee so if you don’t like it for some reason, you can get your money back. 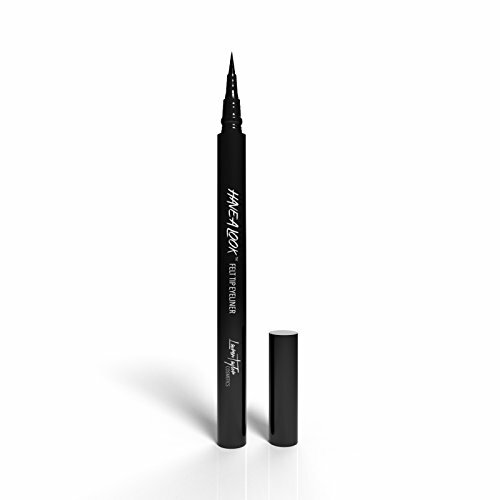 You will love the effects that you will be able to create with this high quality eyeliner. Regardless of your experience level, this Tattoo Effects Best Waterproof Liquid Gel Eyeliner is comfortable to hold, easy to use and gives you the results that you are looking for from your eyeliner. The easy-glide, precision tip provides the ability to line your eyes with a fine line or a bolder, thicker line so you can create an array of different looks from the same eyeliner pen. This high pigment eyeliner is long lasting and won’t smudge or run, making it perfect for work, play, or nights out on the town. You won’t need a bothersome sharpener when you purchase this eyeliner. Put it on that morning and you won’t need to reapply. You will look as good in the afternoon as you did when you first put it on in the morning. It is great for sensitive eyes and can be worn by contact lens wearers too. This Tattoo Effects Best Waterproof Liquid Gel Eyeliner comes with a 30 day money back guarantee so you can try it risk free. It comes off easily with eye makeup remover or you can use olive or coconut oil to take it off as well. Whether you are using eyeliner for a workday look, spending the day outside in nature or planning a dressy dinner out, it can enhance your eyes and give your look a boost. It can even create the illusion that you have more eyelashes than you look like you have when you apply it at the base if the eyelashes. Knowing the right type of eyeliner to buy so you can correct these special looks will expand your makeup routine and give you even more looks that you can use to enhance your natural beauty. There are many reasons that people use eyeliner. Defining your eyes with a high quality eyeliner pen will enhance the look of your eyes and draw attention to them. Even when it is worn by itself with no other eye makeup it can create an impression that is much nicer than no eye makeup at all. Using eyeliner, you can change the shape of the eyes, bring the focus from the mouth to the eyes, or create a dramatic effect for nighttime. The looks possible with eyeliner can range from casual to classy to sultry. The choice is yours and practicing different looks with the right eyeliner pen that is not hard to use, can expand your choices even more. There are many different types of eyeliner types on the market. Each type has its pros and cons and we will go over those for you so you can know the differences in the different kinds you encounter when you are shopping. Pencil eyeliner – eyeliner pencils are thin and made of wax that is encased in paper or wood, much like a regular pencil. It can even be sharpened like a pencil with a special eyeliner sharpener. They are the most affordable type of eyeliner available and come in a range of colors. The tips of these eyeliner pencils can be firm or soft or somewhere in between. A firmer pencil is good for drawing a line that will last longer but they are not always easy to apply. A softer pencil goes on much smoother and easier and is a great choice for those who like the smudged look since the soft pencil line can be smudged easier than the hard line. Pen eyeliner – The eyeliner pen is a great combination of a pencil and a liquid liner but it is much easier to use for beginners than a liquid liner is. The color selections in pen eyeliners are growing, but it is not as varied as the pencil. Pen eyeliners are easy to apply and dry quickly but you will notice that the color is not as true as the liquid liner is. If you are looking for the sharp lines of a liquid liner in a form that is applied much easier, a pen eyeliner will be a good choice for you. Depending on the brand and quality of the pen you choose, a second coat may be required. Liquid eyeliner – This long lasting, high pigment form of eyeliner is growing in popularity in leaps and bounds. It provides a very dramatic look and is one of the most often used to get that cat-eyed, wing look that is so popular. The potential drawback to liquid eyeliner is that it is not very easy to apply at all. It also requires drying time. Liquid eyeliners are applied with a tiny paintbrush like instrument that is usually attached to the cap of the eyeliner. Some brands may have a fine point or chisel point felt tip that is similar to a marker. The felt tips are a bit easier to control but they won’t achieve as fine a line as the brushes will. You can even purchase a separate eyeliner brush to use with liquid liner if you want a higher quality brush than what comes in the liner itself. To learn to use liquid eyeliner properly, it will take diligence and practice on your part and you must allow the proper drying time or you could end up with a mess on your hands… or rather on your eyes. Gel or Cream eyeliner – Gel and cream eyeliner is very easy to apply thanks to the soft texture it has. It usually has a bright, intense color that is a lot like liquid liner. Gel and cream eyeliners are applied with a brush like liquid liner is but since they are thicker in texture; it is easier to apply without making a mistake and messing up the whole look. You will need to allow the gel or cream eyeliner plenty of time to dry. Once it is dry, however, it will last a long time and is resistant to fading and smudging. They usually come in little pots with separate brushes so they are not as convenient to carry around and they also require practice. Powder eyeliner – Powder eyeliners are super easy to apply, but they are also super easy to fade and disappear, requiring re-application. Some eye shadow can double as powder eyeliner is you choose and if you use a tiny brush and dampen it slightly, you can get a great look. Powder eyeliners are great for daytime looks or if you want a more understated look for the office. You can also use them for that perfect smoky eyed look for nighttime occasions. You can intensify the look of powder eye liners by applying them over a pencil or gel eyeliner base. Different eyeliners have specific features that make them able to handle a multitude of looks that will work for all times of the day and night. We’ll go over these features for you so you can differentiate between the eyeliners that have the features you are looking for. Shimmer eyeliner - Shimmer eyeliner has glitter in it that gives a sparkly look that is perfect for nighttime. It can be subtle with only a tiny bit of flecks that will reflect light, or a lot of glitter to provide bold, sparkle that looks beautiful in the nightlight. If you want a touch of glitter for daytime, be sure to stick to very subtle shadows rather than heavy shimmer eyeliners. They are best suited for nighttime lighting and can look garish and harsh in the daylight. Smudge eyeliner – Depending on the type of eyeliner you purchase it may be made to stay in place and keep a definite line or it may be designed to smudge and blend, making a soft, smoky look that is flattering and dramatic. You can use the smudge look during the day and at night. The trick is in the amount of smudging you do. For daytime looks, just use a little bit of smudging fir a soft look. At night, create a heavier smudge with darker looks. Waterproof – Nothing is more frustrating than working hard to put on eye makeup and accidentally smudging it an hour or so later from an eye rub. Waterproof eyeliner can stop these problems from occurring. It will last from morning till night without smudging or fading or smearing. Waterproof eyeliners are designed to resist moisture and humidity with no flaking or running. This prevents the typical raccoon eyes that can occur with non-waterproof formulas. They don’t always work when you shower or swim but getting caught in the rain or even crying won’t have you looking like you were in a boxing match. Waterproof makeup will need to be removed each night with a makeup remover so there is no damage to your lashes. Self sharpening – If you choose eyeliner that is self sharpening, this means it will always be ready to use and not need to be sharpened to get that necessary point to get the right look. These eyeliners are usually twist up designs and every time you twist the eyeliner, it is sharpened. Another benefit to self-sharpening eyeliners is that they are cleaned too when you twist so it reduces the chance of bacteria. Eyeliners come in many different colors and finishes for you to choose from. You’re not stuck with just black anymore although black is still the most commonly used and most popular color choice. Although black can look too harsh and dark on super fair skin, you now have choices like charcoal gray, dark plum, chocolate , and even bright colors peacock blue and violet match today’s brilliant eye shadow that look great at night. You can even use white eyeliner for a wide-eyed look that is very attractive. Even though you can use most eye shadows as eyeliners, you should not use lipstick or lipstick brushes on the eyes. They could cause irritation because they are not meant for the delicate eye area. When you choose eyeliner colors, choose neutrals and subtle tones for the work place and daytime hours and you can choose brighter colors for nighttime. There are certain shades of eyeliner that do different things to eye color depending on the color eyeliner used and the color eyes you have. Lining your eyes with complementary eyeliner can make your eyes really stand out. Dark Brown Eyes –dark brown eyes turn a richer and deeper shade when used with dark colors like black, black brown or dark blue. Light Brown Eyes – Colors like dark blue, green and plum set off light and amber eyes, really making them pop. Blue Eyes – Use colors like bronze and brown tones to enhance and enrich the color of blue eyes. You can also match the color of the eyeliner with the color of your eyes for a beautiful look. It may be easier to do the more monochromatic matches by using powder eyeliners to get just the right shade. Below are some good eyeliner tips that everyone can use. They are very basic things that are easy to follow. Replace your eyeliners every three months for the purpose of preventing any hygienic problems. Keep practicing to achieve the looks you want to achieve. There are instructional videos that will teach you step by step, all kinds of eyeliner tricks. You will get better and it will get easier the more you practice. ALWAYS remove your makeup before you go to bed. It is not good for your skin or eyelashes to sleep with makeup on and you can actually lose eyelashes. Eyeliner can give a person many different looks. Whether that look is natural and understated or dramatic and completely different, you will enjoy all the variety you have available to you in the way of colors, finishes and types. Practice learning the different popular looks and give your eyes a brand new look.